Today's featured design project is one of two rooms we designed for Kathi through our affordable online design service (psst...we are now open for new projects, click here for more info). We had the privilege of working in Kathi's Dining Room and Living Room. 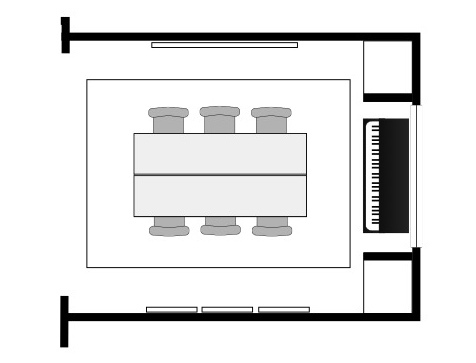 Today, I'd like to share the plan we created for the Dining Room. Our goal in this project was to give her a custom design that was high in style, but most importantly we wanted to create a design that would make the most of the gorgeous architectural details featured throughout her home. Above is the true to scale floor plan illustration we provided to show Kathi where all the elements in the space should be placed. 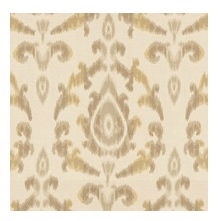 We started her design by selecting a new area rug. 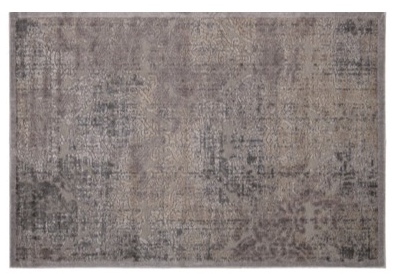 This luxurious tone-on-tone rug features shades of gray and greige. The variation in color within this rugs makes it a great choice for a dining room as it will mask any possible spills or stains. Kathy's dining room has been freshly painted in a beautiful neutral color that compliments this design plan well. Therefore, we recommended that she leave the current paint color. For a little interest and depth, we suggested that she paint just the back wall (that happens to feature beautiful custom built in shelves) a medium greige like "Perfect Greige" by Sherwin Williams. For a touch of bling, we added these amazing, large-scale, metal art pieces to the long wall adjacent to the dining table. By stacking these two pieces, it will draw the eye up and fill the large wall nicely. 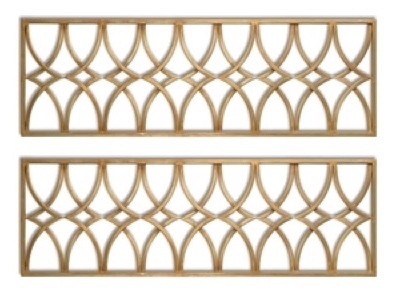 The antiqued gold leaf finish featured on these pieces is absolutely beautiful and adds a touch of formality to the space. 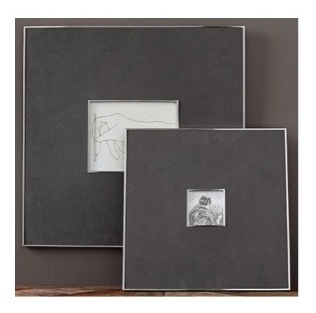 On the opposite wall, we chose to feature another luxurious element, a gallery of stunning gray linen and silver picture frames. Inside the frames, Kathi's favorite family photos or art prints can be displayed to personalize the space and make this room unique to Kathi and her family. I mentioned earlier that this room features gorgeous, custom, built-in shelves. 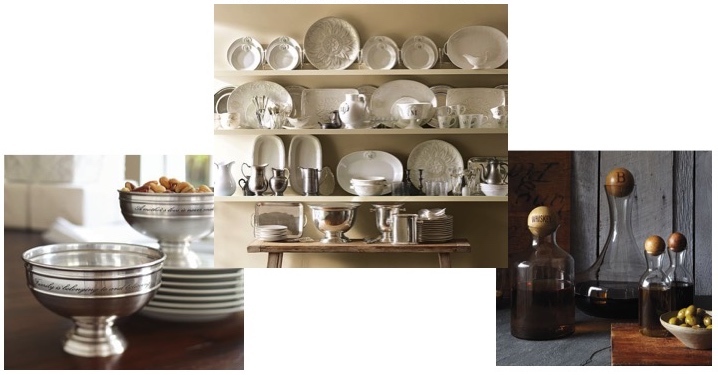 Our recommendation for styling was to fill them with beautiful ivory porcelain and antique silver serving pieces. The darker "Perfect Greige" accent paint that we added to this feature wall will really highlight a collection like this. Not to mention, these pieces will come in handy for entertaining. 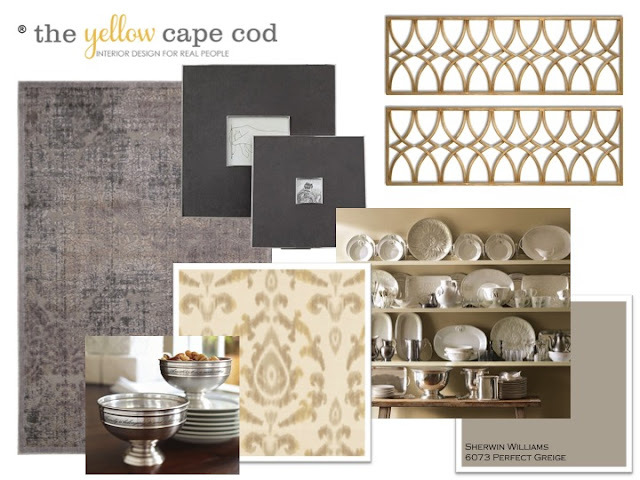 The design elements shared in this post are just part of the complete design plan we delivered to help Kathi create a beautiful dining room. Product sources for the items featured in this post are provided below. 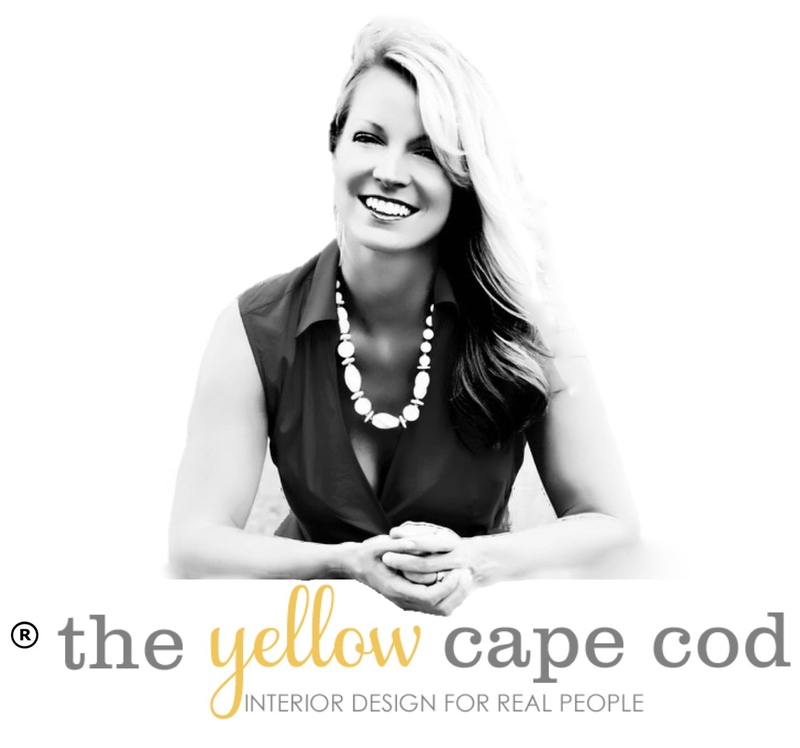 Stay tuned, later this week I'll be sharing the custom design plan we created for Kathi's Living Room. I'm now open for new projects through my affordable online design service. If you have a room in your home that needs a little love, please click here to learn more about this affordable design service and how it can help you create the space you've been longing for.